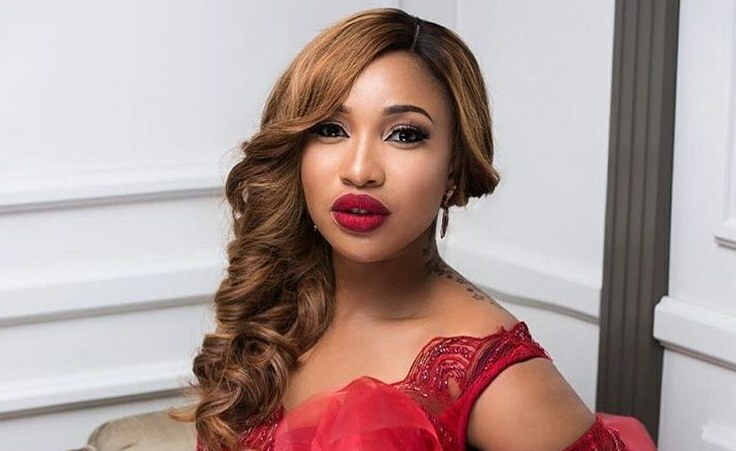 Nigerian actress, Tonto Dikeh is in the news again for yet another series of dramatic events. She has been alleged accused of death threats by a Lagos socialite who shared incriminating snapshots of chats where she said she would kill him if she got the opportunity. 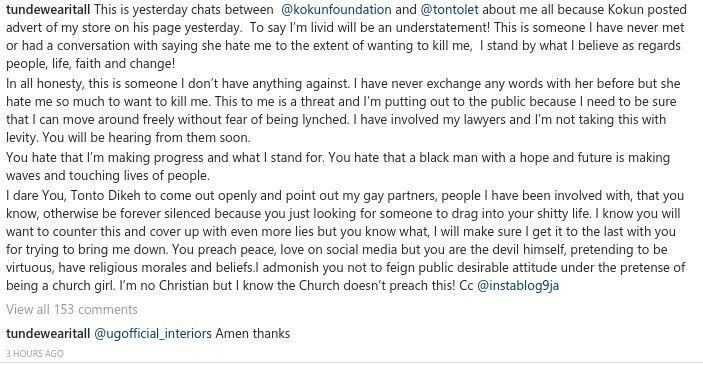 The socialite, known as Babatunde Rufai who owns the Wear It All clothing brand took to his Instagram page to share a chat Tonto had alleged had with Adepeju Olukokun of Kokunfoundation, where she made a threat on his life. The chat apparently started after Kokun had posted an advert of Tunde’s store on his Instagram page. Tunde also added that he has contacted his lawyers and decide to make the chat public because of his own safety. While in the midst of that, film producer, Ada Slim who had previously accused Tonto Dikeh of trying to blackmail her recently also weight in on the matter calling her ‘Homophobic’. See all their posts below.